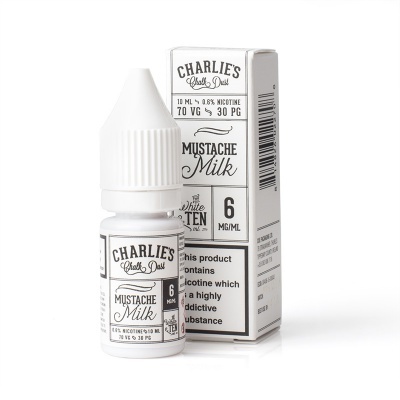 If you're looking for an e-liquid for first thing in the morning, then Charlie's Chalk Dust Mustache Milk E-Liquid is a great choice. Tasting like cereal and milk, this e-juice will get your day started with the right flavours. Charlie's Chalk Dust apparently started with some hot dogs, a distaste for cab drivers and a potential spiritual intervention. How much truth is in this story remains to be seen, but the results are the same; creative and inventive flavours that create a smooth vaping experience. Mustache Milk E-Juice comes in one size and three different strengths. 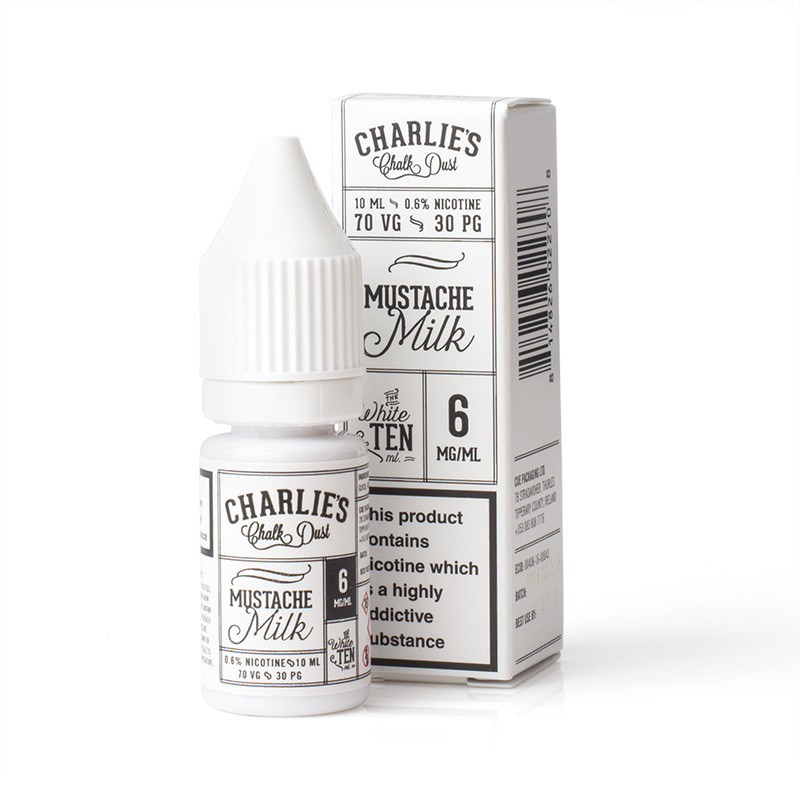 Some of our stock of Charlie's Chalk Dust Mustache Milk is due to expire soon. In light of this fact, we are offering the affected stock with a discount! This offer is only available while stocks last, so act quickly to save! Mustache Milk is an ideal taste to get you going first thing in the morning. Savoury cereal combined with sweet milk is a great balance to wake those taste buds up, neither too sweet nor too savoury.